Nice analysis - powering up devices in an appropriate order can definitely cause problems such as via the (parasitic) static protection diodes seen on various pins. Presumably this invokes Yveaux's interest in current limiting resistors. It's a bit unclear how the layout under discussion is actually powered. A cct diagram would be useful here but generally speaking, everything should be powered up pretty much simultaneously, if possible. Regardless the various arduino ccts in existence seem to provide a variety of power paths, many of which are perhaps undesirable. eg supplying power directly to power lines that have on board regulators and hoping that "back driving" those regulators will not cause problems. 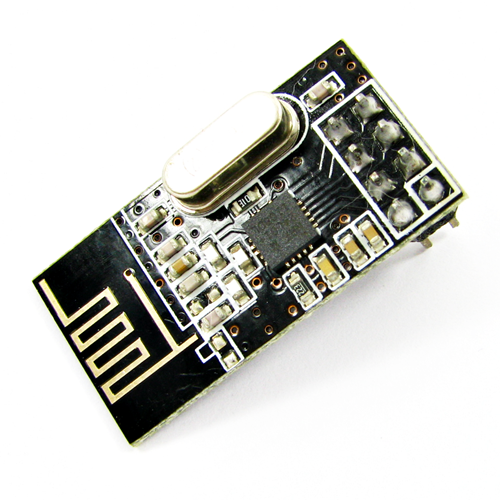 Likewise various arduinos use the serial chip to provide some power and it's quickly overloaded. A detailed cct is required to provide any definitive PSU analysis. @DAN S "...do I really need the IRQ line?" 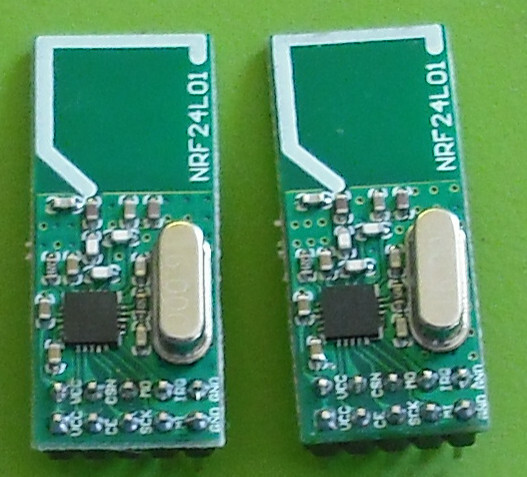 As far as I can see the IRQ is not used by the NRF24 radio library. I don't ever wire it to the radio. @hek - just suggesting that you ensure the CT you purchase has some protective measure, such as Zener clamps to limit the Voltage when the secondary is not connected to anything. The ones you linked to look fine. On the current transformers (CT). Need a little caution with these. If they are energized with no burden resistor and do not have any protective measures in place like zeners, then the output Voltage can be very high. For example if the transformer is one turn to 2000 turns, like Hek's example transformer and we assume the open circuit resistance is 10 MOhms (it's probably higher) and the primary current flow is just one 1 Amp, then the output Voltage can reach 5000 Volts. (1/2000)*10,000,000=5000. The Voltage produced is ultimately moderated by core saturation. I've seen these things produce nice sparks. However Hek's transformer uses a protective measure to avoid this: two zeners in series across the secondary. The linked article under "6. Operation without an external burden." indicates the Voltage is clamped to +/-22V by the zeners. This is still enough to fry your Arduino ADC, if the required burden resistor is accidentally incorrectly connected. Likewise probably best not to unplug & plug in the CT, while its got power going through the primary. It may be more prudent to hardwire the CT to the Arduino. V_ANGLE sounds good. With a bit of (floating point) maths, all can be calculated. Electrical impedance and resistance are not the same thing- suspect resistance is intended here? V_DIRECTION may be confused with an angle or up/down. Could use V_COMPASS_POINT, but that may be confused with magnetic or true north! STATUS always be used for binary values eg on/off, locked/unlocked? RE: Multiple DH-11 Sensors on the same Arduino Pin? The DHT22 spec sheet (a similar device), indicates that you need a single dedicated i/o pin per sensor. Any one presenting measurements should indicate if they are using Ver 1.3 or 1.4 of the code. There are significant differences in how the timing and ACKing is organized between the two. The OP is using 1.3 and I suspect @yVEAUX is using 1.4 - please correct me if I am wrong on that. There is no point in trying compare results between 1.3 and 1.4 Any one using 1.3V will be far better off with 1.4. Yes the improvement to the noise figure is the prime consideration. A signal buried in the noise, amplified by 10 dB, is still a signal buried in the noise. As you point out the NF is defined primarily by the front end amplifier. As long as the front end has reasonable gain subsequent stages will not contribute substantially to the NF. I've incorrectly used the 10 dB figure as the NF improvement. So using your figure of 2.6 dB, which looks like an appropriate figure but could be higher; then this suggests, It's really a waste of time using the LNA+PA PCBs unless they are used at both ends. In which case you get the benefit of the power amplifiers and a slight receiver improvement. Noting it has 3V3 regulator built in, that may help with power supply sag, that people are experiencing with the PCB modules - requiring capacitors to be added latter. However they are a bit expensive\e. The PCBs with the seven shaped antenna is probably just a 1/4 wave monopole bent to make it less sensitive to polarization? @therik To show as code - insert a couple of line feeds at the start and then all lines of code thereafter, indent with four spaces. If you are using ver 1.3 of the Arduino code; then recommend you change to the ver 1.4 of the code. The radio code is far better. Yes I thought this was a rather long time too. Need to post the code in use. Just on say a single transmission at 250K bps - then (32*8)/250000 = about one ms. That's assuming a 32 byte payload at 8 bits per byte. It would be longer than this, as it may be sent multiple times, if an ACK was not received. Plus the turn around time and the actual ACKing has to be added in as well. How many variables are being returned? Roy from the IT Crowd: "Have you tried turning it off and on again?" With a 4 MHz crystal it can run to near 1V8. See page 310 of the data sheet. The radio could run directly off the battery and the CPU and sensors off the inverter. That may be a good compromise as the radio draws the most amount of power? The radio must have a supply Voltage of 2V7 to 3V3 if the input signals are greater than 3V6. you would encounter this when running a CPU at 5V, which hopefully you wouldn't be doing on a battery powered set up. (Note resurrected post) @therik I used to think that you could run the MySensor stuff just using two batteries connected directly to the processor but came to the conclusion that's a bad idea. First, to get the best out of some sensors running them off a fixed Voltage is preferable. Secondly two alkaline AAs supply about 2.4V to 2.6V (during most of their operational life time) and the 3.3V CPUs have the brownout set to 2.7 V (typ). So if you use this method, you need to ensure the brown out detector (BOD) fuses are set to disable the brownout detection completely. Doing it in software is not sufficient, as the BOD is automatically re-enabled as soon as the CPU comes out of sleep. The CPU spec shows the maximum Frequency vs. VCC line for between 1.8 V and 2.7 V. The line equation is Vmin = (F-k)/m, where from the spec k = -8 and m =6.6666 so for 8 MHz: Vmin = 2.4V Towards the end of their life two AAs will go below this Voltage. What happens then? With an inverter you can monitor the battery Voltage and trigger an alarm when it gets really, really low. Also with the inverter you can squeeze every last ounce of juice out of them and everything will still work. so say we use say a Vmax of 2V and Vmin of 1V and use that to power an inverter to 3V3. Also assume we draw 100 mA at 1V, which is about 30 mA at 3V3 for the CPU and radio. We have a ten Farad cap but it's a bit out of tolerance, so it's actually only five Farads. That allows for one hundred 0.5 second samples to sent before the cap is "flat", which is 25 hours if sent every 15 minutes. So it looks like it could work OK. Should work for @HeK in Sweden where the shortest day is only about 7 hours long, with the main problem is keeping snow off the solar panel. On the cheap electrolytic capacitors: They tend to have a high leakage current, which is not good in battery powered scenarios. The low noise amp gain is 10dB and the power amplifier is 20 dB. If both ends use the PCB with the LNA & PA, then the link is up 30 dB on the standard radios. With line of sight and that also means the antennas must be high enough to be unaffected by the Fresnel Zone; that being 5.6m high for a distance of one km. Then every 6 dB extra doubles the range. So 30dB/6 = 5 So range is extended by 2^5 = 32 times. It's claimed the powered modules can transmit about 1000m, which implies the standard modules have a line of sight range of about 31m. However, if you have a standard module at one end and a powered module at the other end, you only increase the link gain by the receiver gain of 10 dB, which just gives 3 times [ = 10^(10dB/20)] the distance of a standard radio, not 32 times [ = 10^(30dB/20)]. So the 31m above get's extended to just about 90m. All the above assumes no electro-magnetic interference from other nearby transmitters, etc. If you want distance, you need the high powered modules at both ends. The tests recorded the radio supply Voltage under various conditions and demonstrated that a low ESR (Equivalent Series Resistance) capacitor gave the best results. It seemed highly likely that the other capacitors tested were plain old electrolytics? They are not suitable for use as decoupling capacitors for the radio. Either tantalum or aluminum polymer capacitors should be used, as they typically have the desirable characteristic of a low ESR value. They should be mounted physically at the radio and wired between the power pins - plus and ground. Their leads should be as short as possible. Any oscilloscope measurements should have the probe connected directly across the capacitor. A couple of the tests used 220 uF caps, perhaps a little unnecessarily large. A lower value of 47 uF should be adequate. It was suggested that the cleaner power supply Voltage may have reduced electromagnetic interference (EMI) at the radio receiver. This may be the case but I'm inclined to think that it just improves the operation of the receiver IC itself. Either way, a clean power supply that has a bit of grunt when needed, is always a good thing. Hope I have remembered this correctly. There was some conversation about mounting the radio near metal parts - such as over the ground plane of the nearby motherboard. This was a good point. Nearby metal work can distort the radiation pattern (eg some directions becoming completely shielded from the radio ) and/or detuning the aerial resulting in lower overall radiated power. "Are there any guidelines on how to convert a sketch that was made for the 1.3 libraries to 1.4? I would very much like to use the DimmableLED sketch but I know too little about coding. I found a few obvious differences but nevertheless did not succeed in making the sketch work. I found it here: http://forum.micasaverde.com/index.php/topic,23342.0.html and I know the maker blacey is also on this forum and think it is a very nice sketch. The only way I see how to get this to work is to downgrade to the 1.3 libraries but than I would have to start all over." It's not easy to cover all possibilities but here are a few notes and examples based on a temperature sensor plus some other info that might help with the DimmableSketch. I can re-edit this post if there are any corrections needed or something else needs to be added. // or set to AUTO if you want gw to assign a RADIO_ID for you.